The glorious Royal Treasures of Cryptonia have been stolen! 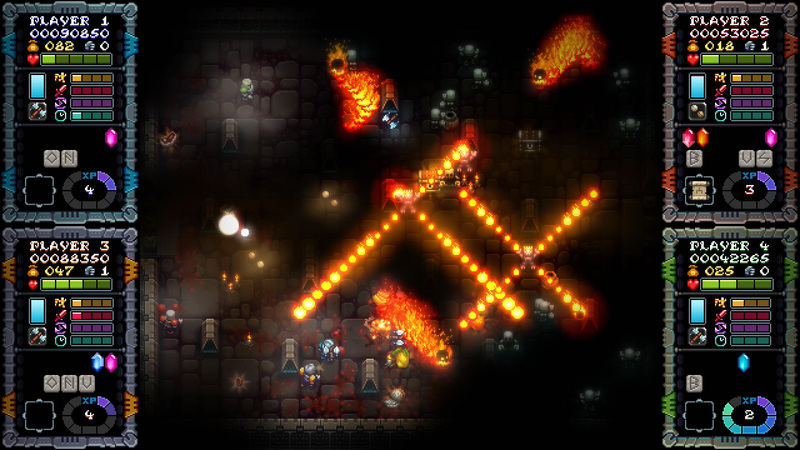 Now the King’s washed-up knights must suit up and descend into the ancient palace crypts to return those GOLDEN GOODIES! 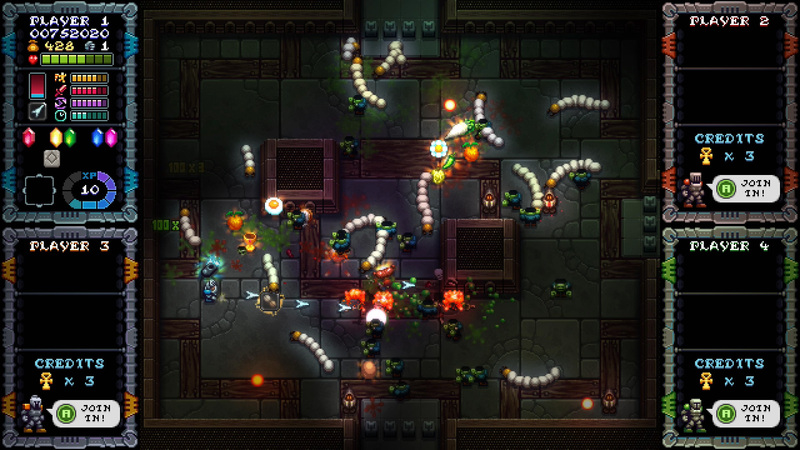 Get ready for GHOULISH arcade action in this epic medieval twin-stick dungeon shooter. There’s plenty to enjoy with Iron Crypticle. 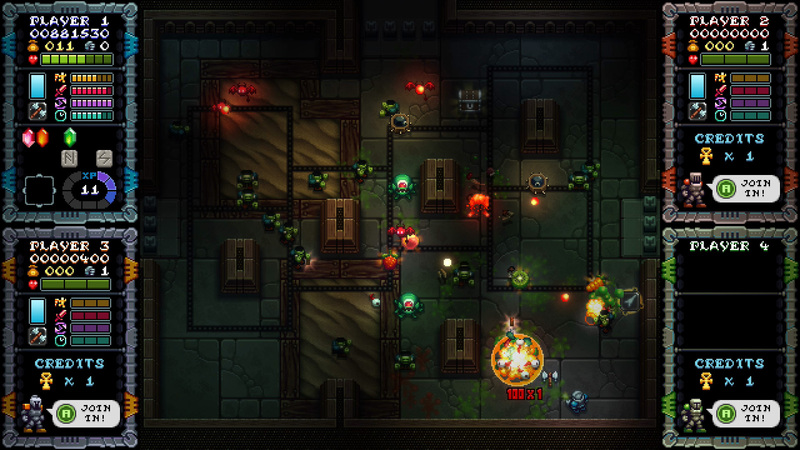 It will definitely suit fans of retro aesthetics and arcade-esque titles, but shooting using the right stick in only eight directions is a hindering experience which is likely to frustrate players, in an otherwise solid game. 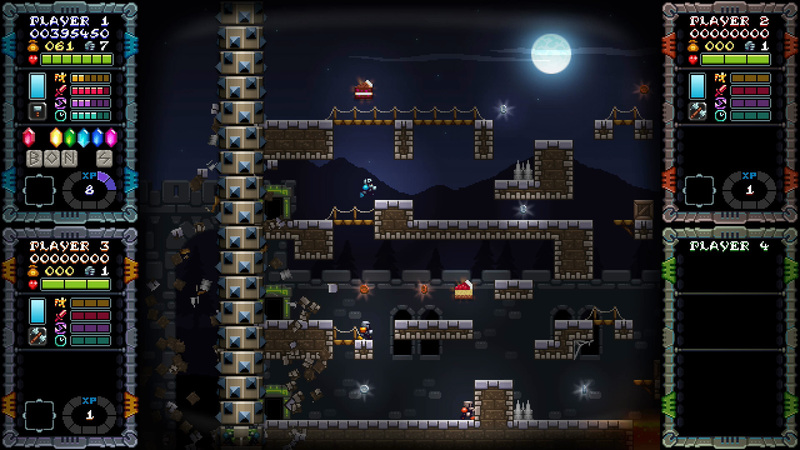 Tikipod has done it again with Iron Crypticle, successfully reviving an old-school arcade concept and infusing it with some modern ideas. 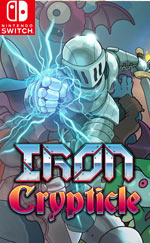 Iron Crypticle may not do a ton of innovative or new things with that twin-stick concept, but it nonetheless hits all the right notes in recreating that gameplay that made Smash TV such a smash hit. It’s not articulated particularly well and can lead to some confusion at first, but once fully understood it proves to be a lot of fun. 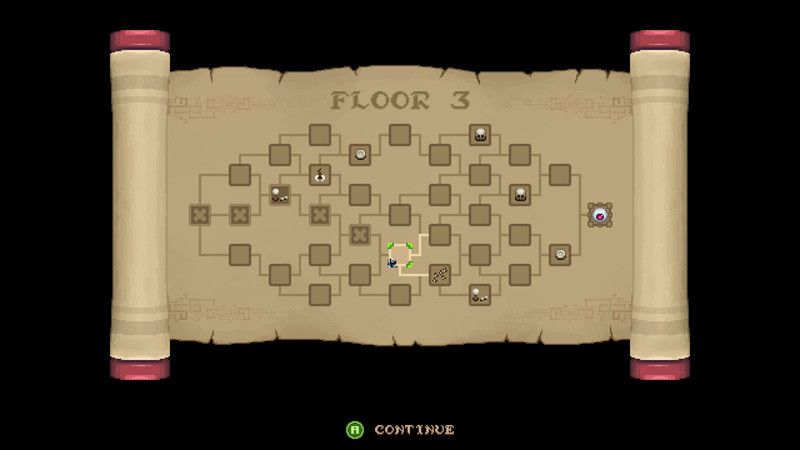 The pace of the game tends to be a bit slow, especially on early floors which don’t present as much of a challenge as later floors. However, branching paths, local co-op, multiple difficulties, and even online leaderboards help round out the overall package.